The toughest part of today's photo challenge was trying to decide "which" key. 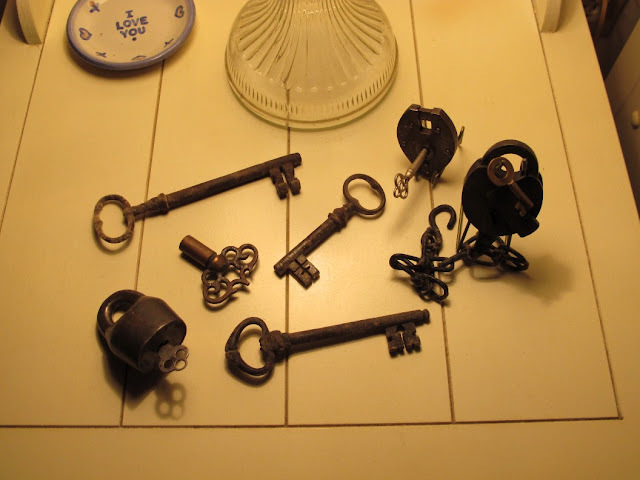 Since Donald is a locksmith who also happens to collect antique locks and keys, we had a lot to choose from! I love keys, too. Keys and old pocket watches! Wouldn't you love to know the history of each one? Whose hands they've passed through? What they unlock? ACK! Where did that woman run off to? !